Celebrities are constantly changing their appearance and sense of style. Some will even get plastic surgery or Botox to alter their appearances, in a constant effort to look younger or more beautiful. Sometimes, celebrities will change so much that it’s hard to recognize them as the same person! This is certainly the case for several of the celebrities on this list. Can you recognize them all? Daughter of Sharon and Ozzy Osborne, Kelly Osborne has had a pretty varied career, including hosting Fashion Police for 5 years and being a judge on Australia’s Got Talent. She’s changed a lot between those jobs, also! Kelly really impressed the media when she lost a ton of weight and got herself super fit. Along with that, she also updated her hair style and died her hair a bright lavender color, and she looks great with it! We can all remember a day when Miley Cyrus was this cute little girl who starred in the Disney channel show Hannah Montana! Back in the day, she dressed moderately and had long locks of brown hair… but no more! Nowadays, Miley is better known for her music about dead pets and stage antics involving twerking. It all began when she chopped off all of her hair, leaving only a short, platinum blonde pixie cut! Her transformation was certainly drastic! 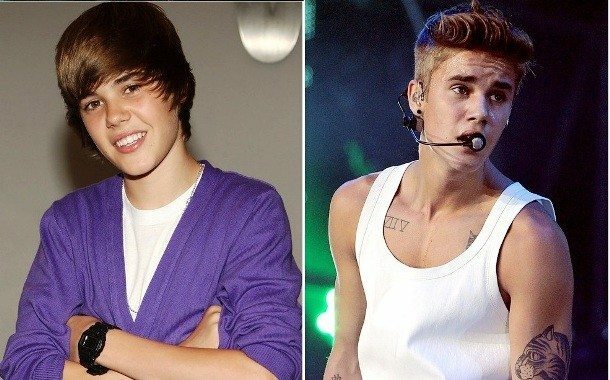 Justin Bieber is another celebrity who went from a cute child star to a rather controversial adult musician. Justin was only 16 years old when he released his first hit, Baby, and perhaps he was too young for all of that fame! Nowadays, Justin Bieber doesn’t have that slick ‘do anymore! His hair is short, and he’s really all grown up! He now has multiple tattoos, and his style of clothing and music has completely changed! He’s definitely not a kid anymore. Jack Nicholson is a highly popular and successful American actor. You may know him from films such as The Shining, One Flew Over the Cuckoo’s Nest, among other famous blockbusters! Nicholson is now 79 years old, and it’s really starting to show! He has noticeably aged in the past few years, as well as put on some weight. However, he’s still as charismatic as ever! From Parks and Recreation to Guardians of the Galaxy and Jurassic World, Chris Pratt has really made some impressive changes in the way that he looks! 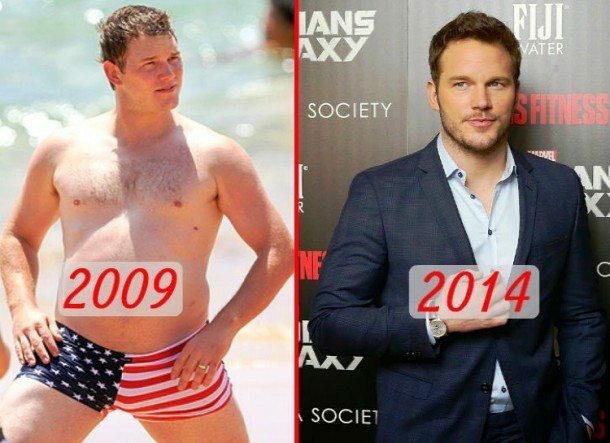 During his time on the comedy show Parks and Rec, Chris Pratt was a little on the chubbier side, though now he’s slimmed down and put on some impressive musculature, even being voted the 2nd sexiest man in 2014. Anna Farris is one lucky woman! Coming up next, the unbelievable transformation of a very popular singer! Before 2010, Lana Del Rey wasn’t even Lana Del Rey! Only 6 years ago, Elizabeth Woolridge Grant changed her name to Lana Del Rey and debuted as a solo recording artist. You may recognize some of her most popular hits, such as Young and Beautiful and Summertime Sadness. When Del Rey debuted her new stage name, she also dyed her hair to a darker color and debuted a new, old Hollywood style which certainly helped her stand out. She’s now known for her vintage, off-beat style! Paul Weller is an English musician who came to fame in the musical groups The Jam and The Style Council before beginning his journey as a solo musician and recording artist. You may know him for his tunes You Do Something To Me and Wild Wood! In 2006, Paul Weller won the Brit Award for Outstanding Contribution to Music, and he still looked pretty good! 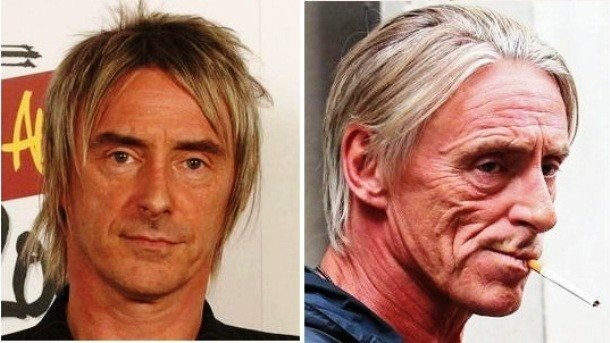 Now, at 58 years old, Paul Weller has aged quite a bit and is not nearly as recognizable! Coming up next, a beloved actress with a brand new face! Renée Zellweger has starred in several major blockbusters, namely Jerry Maguire and the Bridget Jones’s Diary franchise. Now, with the third film in the series coming out soon, does Renée Zellweger still look like the adorable girl-next-door Bridget Jones? 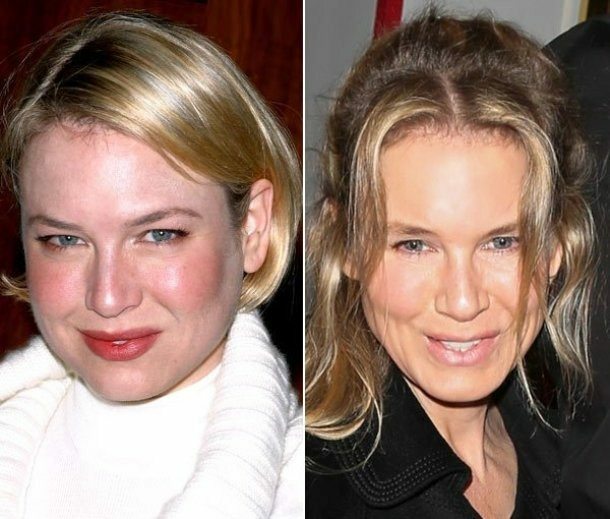 Zellweger infamously gained lots of weight for the Bridget Jones movies, only to shed the weight again, but now she seems to be a little bit more… different. However, nothing has been confirmed. You can’t deny something about her changed, though! 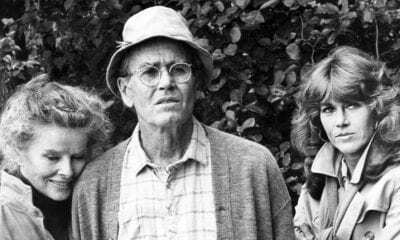 Lindsay Lohan is another charming child star who began her career with the Disney remake of The Parent Trap. She quickly became a teen idol with her next films, Freaky Friday and Mean Girls! 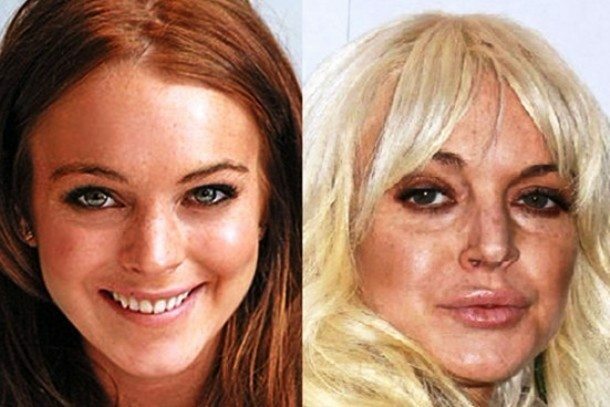 Several years later, Lohan was arrested for driving under the influence and spent years in and out of rehab. She also had several plastic surgeries that changed the way that she looked, making her barely recognizable! Coming up, one of the most popular singers today! Can you guess who he/she is? Adele is one of the biggest, most popular singers in the world, having won 10 Grammys, 1 Academy Award, 8 BRIT Awards, and 1 Golden Globe. Her songs have been at the top of the charts all around the world, and for good reason! Between her albums 21 and 25, Adele changed her look, losing a whole bunch of weight and upping her fashion game. She also changed her hair color and hair style – say hello to a whole new Adele! Taylor Swift is another one of the world’s most popular singers. She got her start when she was still a young teenager, but quickly rose to fame with hits such as Love Story and You Belong With Me. Now, her most recent album, 1989, is a Grammy Award winning album and on top of the album charts. T. Swift began as a country star but slowly transitioned to a pop star, and as her music changed, so did her look. Gone are her long wavy curls, in are her sleek bobs and that red lip classic thing that we like! 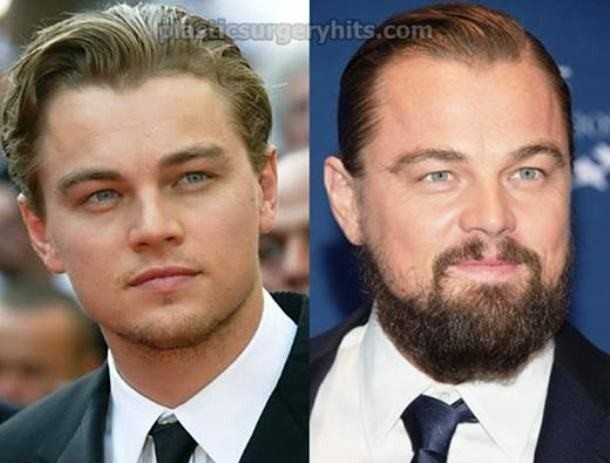 The next transformation belongs to an Oscar winning actor. Can you guess who he is? Leonardo DiCaprio has been everyone’s heartthrob at some point! From movies like Titanic to The Revenant, DiCaprio has shown the world that he is a great actor, and has even won an Oscar for it (finally)! His look is a little bit different than when he started out though! Though older, he’s still incredibly handsome, underneath that hearty beard! This member of One Direction got his start in the entertainment world when he was only 16 years old and auditioned for The X Factor as a solo artist. 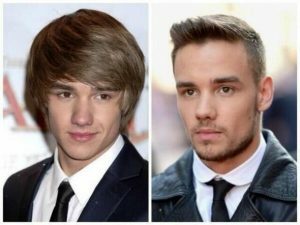 He was quickly grouped with the 4 other boys of One Direction, and the rest is history! Since joining the boy band, Liam has changed his look a lot! He is no longer the little boy with big, swooping hair he once was, but rather has turned into a handsome man. His new look is perfectly alright with us! Coming up next, a Kardashian! Khloe Kardashian, one of the members of the Kardashian clan, has starred in the reality series Keeping Up with the Kardashians since 2007. She has often been targeted as a result of her weight, but that hasn’t stopped her! In the past couple of years, Kourtney has slimmed down, taking steps to ensure she looks more like her sisters. Her style has also changed, as she often looks more sophisticated! Jared Leto has had an eclectic career, performing as the lead vocalist and songwriter for the rock band 30 Seconds to Mars, which formed in 1998. He is also a well-established actor, acting in films like Fight Club, American Psycho, and Dallas Buyers Club, to name a few. 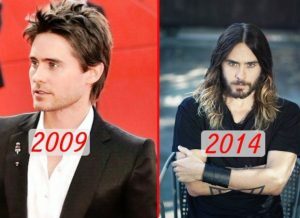 Leto is well-known for changing his appearance dramatically for different roles that he’s done, and because of that, his personal look has changed a lot throughout the years. Recently, he’s let his hair grow out a lot! We can’t wait to see what he looks like on Suicide Squad! Kelly Clarkson, the “Original American Idol” rose to fame when she won the first season of American Idol. From there, her singing career took off with hits such as A Moment Like This and Since U Been Gone. She continues to produce chart toppers and lead pop music today! Her look has definitely changed since she won American Idol back in 2002. Her weight constantly fluctuates, but she always looks great! Not to mention, she now has two children! Nelly Furtado has had a prolific career as a recording artist, selling over 20 million albums worldwide. Not only has she produced albums in English, she also has a career as a Spanish artist and is set to release another album soon! Nelly Furtado’s looks have gradually changed over the years, as she matured and gained a sleeker sense of style. She has also changed her hairstyle, and looks fabulous! Coming up next, a little boy who’s transformed into a man before our eyes! Daniel Radcliffe began his acting career when he was only 10 years old in BBC’s David Copperfield! 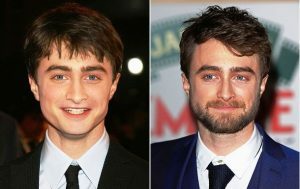 Only a year later, he landed the role of Harry Potter in the Harry Potter series, a role that would kick off a successful acting career for the talented actor. Daniel Radcliffe is now 27 years old and has grown up from the cute little boy he was to a full-fledged adult! His hair is a little longer now and he has a big beard, making him look older and more mature. And, of course, he’s lost those circular little glasses! Bruce Jenner was an Olympic decathlon runner and considered an all-American hero for his success in sports. 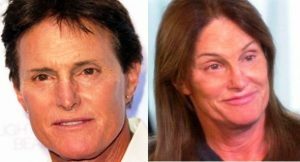 In 2007, Bruce Jenner joined the reality series Keeping Up with the Kardashians with ex-wife Kris Jenner and two of their children. In April 2015, Jenner announced his identity as a trans-woman in an issue of Vanity Fair, and revealed his name change from Bruce to Caitlyn Jenner. She spent $4 million on her transformative surgery and now seems to be happy with her chosen gender. You go girl! Pete Wentz is the bassist and lead lyricist of the hugely popular rock band Fall Out Boy, and even has his own recording label DCD2, which has signed bands such as Panic! at the Disco and Gym Class Heroes. 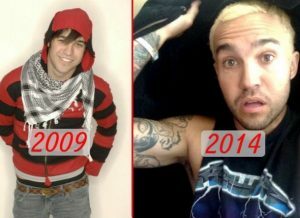 Pete Wentz was also one of the front-runners of the Emo style back when Fall Out Boy first hit the scenes as a rock band. Now, Wentz has given up black eyeliner and dark black clothing, as well as dyed his hair blonde! He looks like a different man! The next transformation belongs to a hugely successful actor. Can you guess who he is? 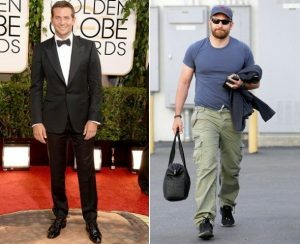 Bradley Cooper is one of America’s most beloved actors! 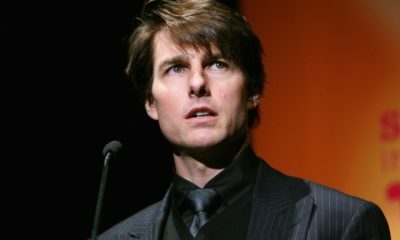 He first rose to fame with comedic roles, notably in films such as The Hangover trilogy. Then, he got a little more serious and took on roles such as Pat in Silver Linings Playbook, for which he was nominated for an Academy Award. Bradley Cooper used to be super slim, especially when he was still doing mostly comedic roles. Then, he got cast in American Sniper and had to bulk up, gaining 40 lbs of muscle and a nice beard. He’s a changed man! Jennifer Lawrence is one of the best and youngest actors in Hollywood today! Her big breakthrough was in 2010 when she starred in Winter’s Bone, and from there she moved on to bigger roles in films such as the Hunger Games series and the X-Men series, as well as Silver Linings Playbook with Bradley Cooper, for which she won an Academy Award. 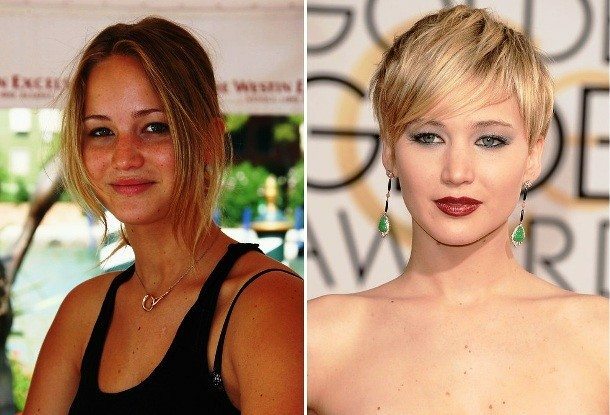 In the midst of the Hunger Games series, Jennifer Lawrence cut off her long, brown hair in favor of a short, blonde pixie cut. Her sense of fashion also got an upgrade, and certainly fits her role as one of today’s biggest stars! Coming up next, a teenage heartthrob turned adult! 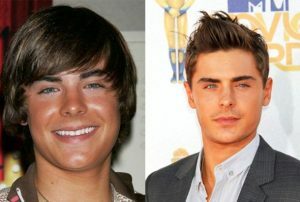 Zac Efron got his start as a Disney poster child, most notably for his role in the High School Musical trilogy. 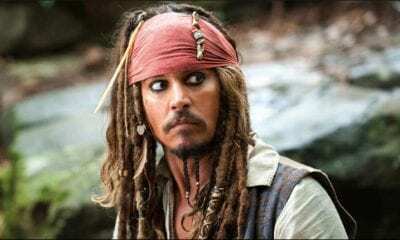 He didn’t stay with Disney for long, though, and soon moved on to bigger films! As Efron moved out of his teen idol phase, he manned up and got a major haircut and some big changes to his physical workout regimen, and is now one of the hottest actors around! Kesha has had a lot of publicity lately, but her talent is undeniable! She first rose to prominence with the many hit singles off of her debut album Animal, which debuted at #1. Her commercial success has continued since then, with lots of great music being released by the artist. 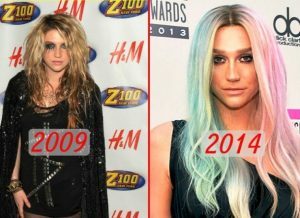 When she first started out as an artist, Kesha was known for her vivid make-up and costumes, as well as the immense amounts of glitter that she often wore. After entering rehab in 2014, however, she came out with a brand new look, and some gorgeous pastel colored hair! The next transformation belongs to a successful, yet controversial actress. Kristen Stewart has always been a great actress, but she really entered the public eye back in 2008 when she landed the role of Bella Swan in the Twilight saga. 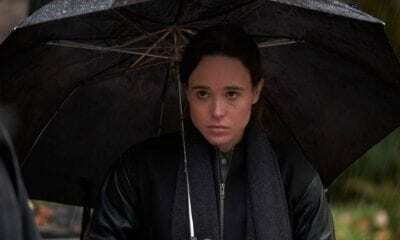 She has continued acting since then, and is one of the top paid female actresses in the world. When she first began as an actress, Kristen Stewart was all smiles and had long locks of blonde hair. Nowadays, Kristen Stewart has a much more serious demeanor and is a model, so she wears only the best! 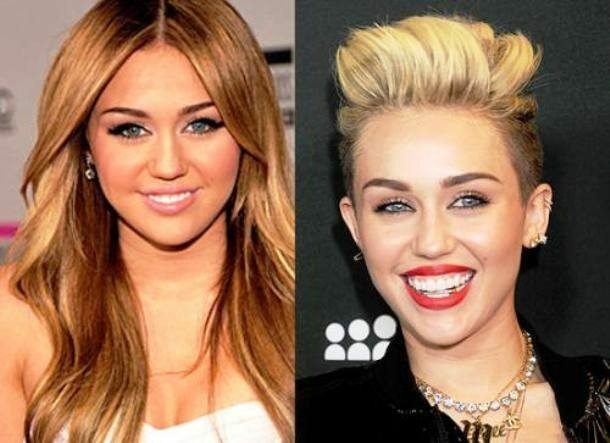 SHARE this article if you can’t believe the changes these celebrities have undergone!